The comprehensive rail transportation system in Kuala Lumpur is one of the best ways to get around in the city as well as in the nearby townships. Served by KL Monorail, Rapid KL Light Rail Transit (LRT) and the KTM Komuter Train, visitors can visit any parts of the city easily. City bus is a good alternative for getting around in Kuala Lumpur with bus routes dotted most parts of the city. 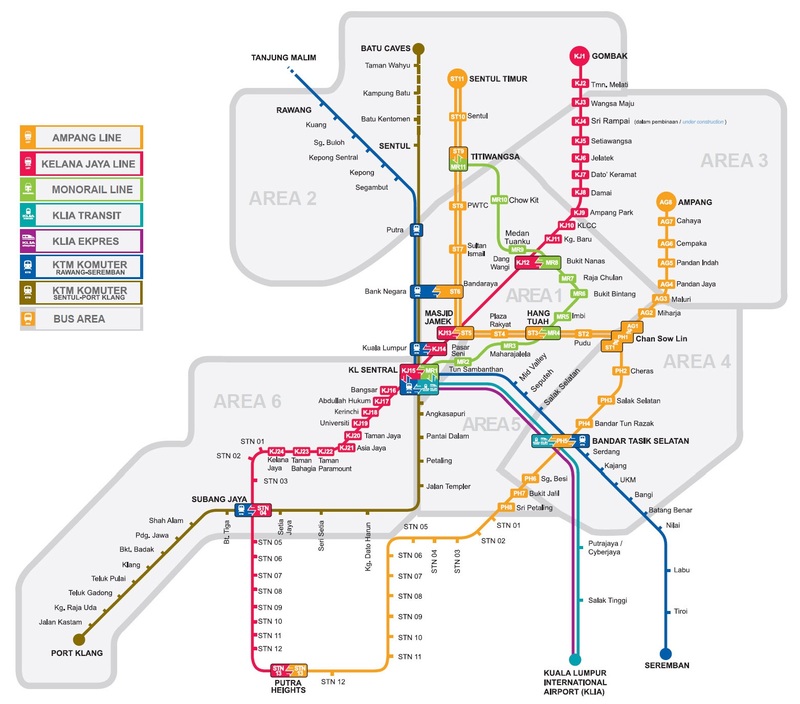 The main bus company in KL is the RapidKL with KL Sentral, City Centre, Titiwangsa, Maluri and Medan Pasar being its major bus hubs. Traveling around KL city with taxi is more convenient and easy. Visitors can either hail a metered taxi from taxi stands that can be found near to most of the city attractions, hotels, shopping malls and etc, or by calling a taxi. Airport Limo, Public Cab Call Taxi, Sunlight Call Taxi and Comfort Call Taxi are some of the reputable and well known call taxi providers in the city. For visitors who prefer hassle free vacation can perhaps opts for a private transfer. Depending on the destinations that you wish to visit, a full day private transfer in Kuala Lumpur city will cost you in between RM300-500 per day (8 hours). This can be a good option for group traveling and customized travel itinerary. Offering comprehensive train and bus routes coverage. Suitable for travelers in and out of the city. Connecting also to Thailand and Singapore. Commute travelers in the city centre. KLIA Limousine service that connects KLIA with major areas in and around Kuala Lumpur. Easy and convenient way to get in and get around in Kuala Lumpur.